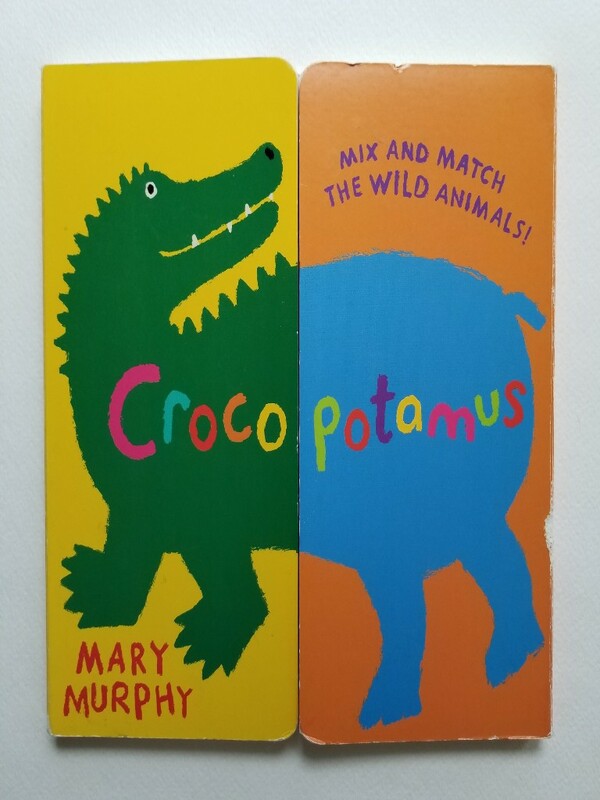 Crocopotamus is an interactive board book for infants and toddlers that lets the reader create real animals and imaginary creatures by folding various pages towards the center, meeting front and back halves together. It's simple images and bright colors are engaging and the interactivity of the book allows for creative play. I first bought it when Juliet was a baby and then brought it back out during potty training for something to do while parked on the potty. At three, I feel she's lost interest in the book, but I love the construction of this book and would like to create an art project based on it in the future.